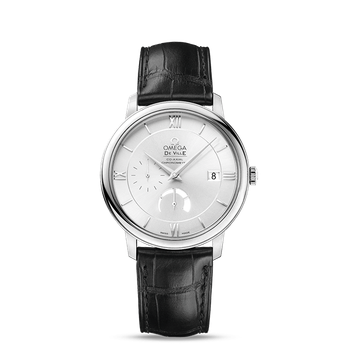 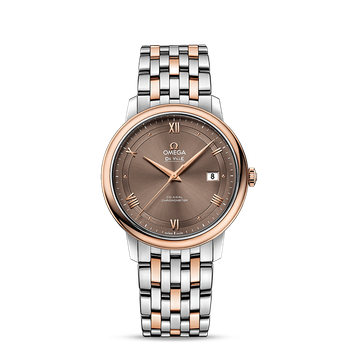 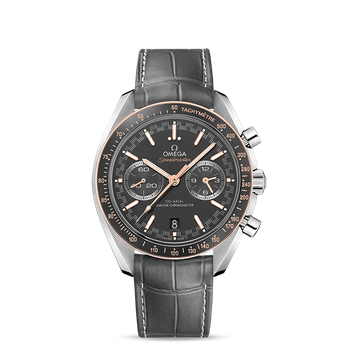 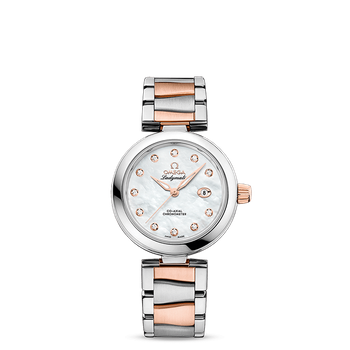 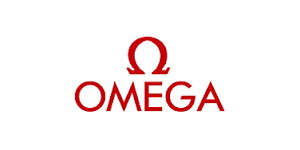 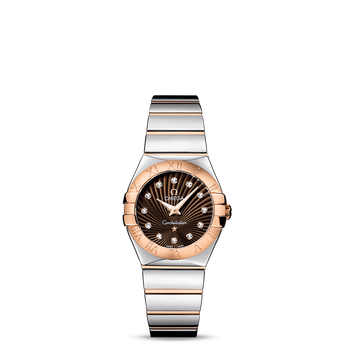 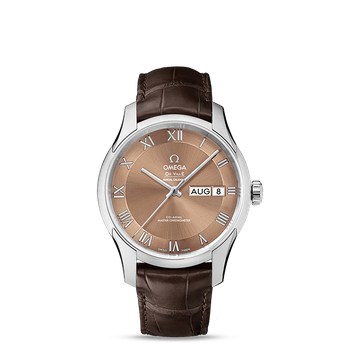 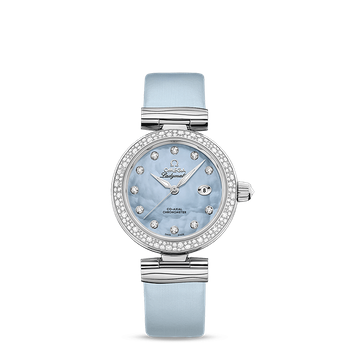 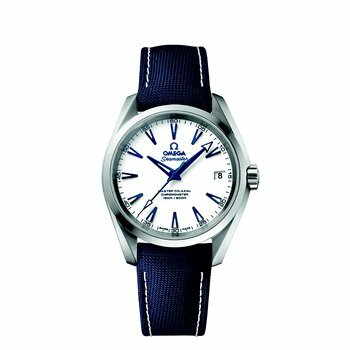 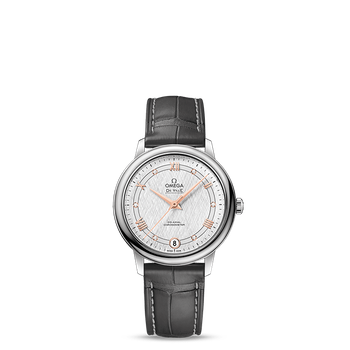 Each of OMEGA’s elegant De Ville timepieces is characterized by a unique and classic design. 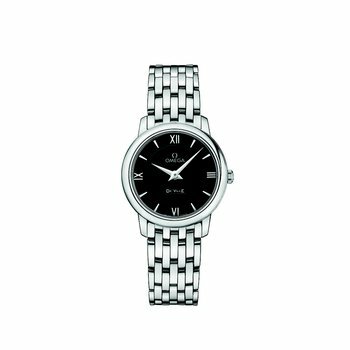 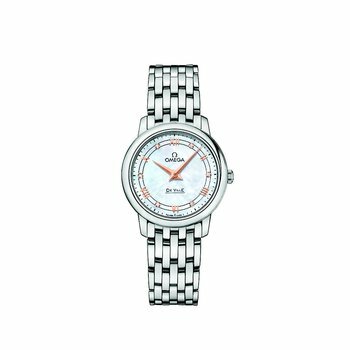 This model features a two-zone black dial with Roman numeral hour indexes, and month and date windows located at the 3 o’clock position. 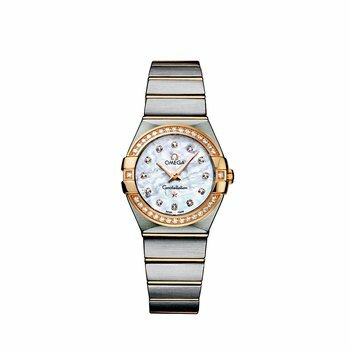 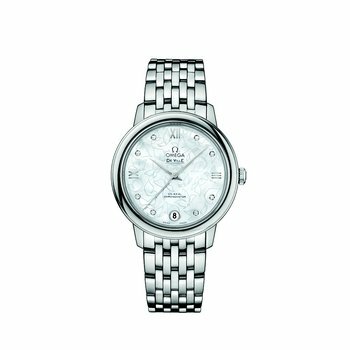 A scratch-resistant sapphire crystal protects this impressive dial. 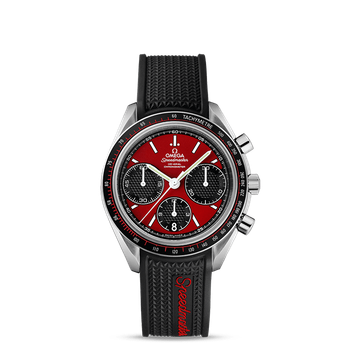 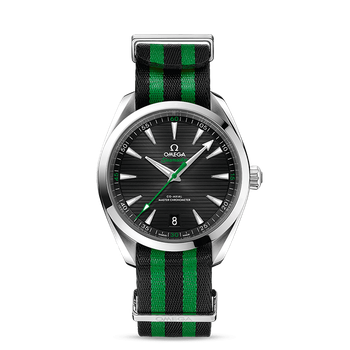 The bezel is mounted on a 41 mm stainless steel case and is presented on a black leather strap. 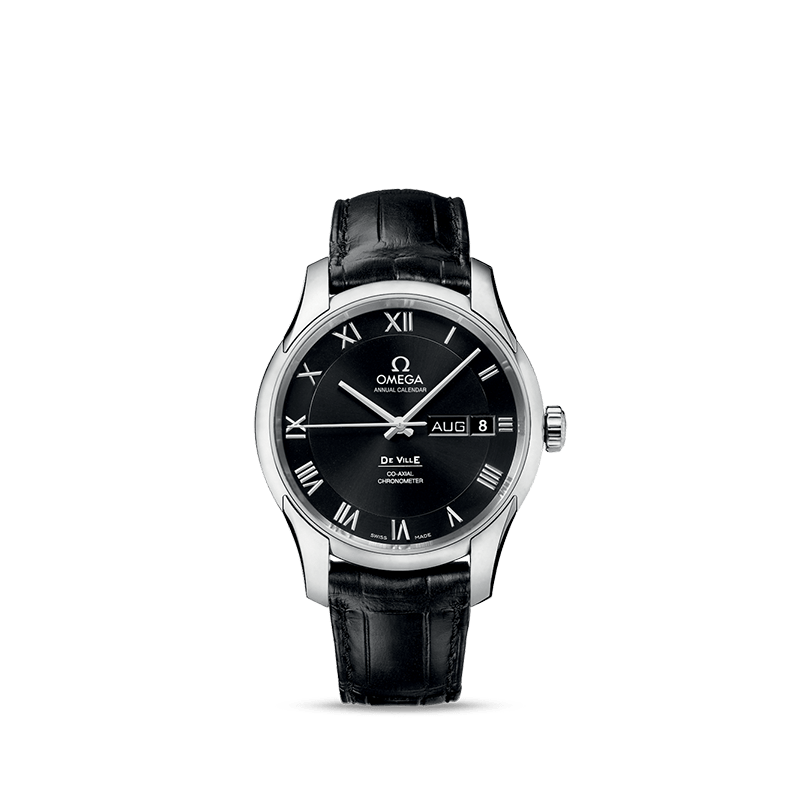 Powering this exquisite wristwatch is the OMEGA Co-Axial calibre 8601, visible through the transparent caseback.